Hello! Did you miss me!? If you're reading this right now I have been happily married for 1 whole month today! That's right, Steve and I tied the knot on August 14, 2015 and it really was the best day ever! 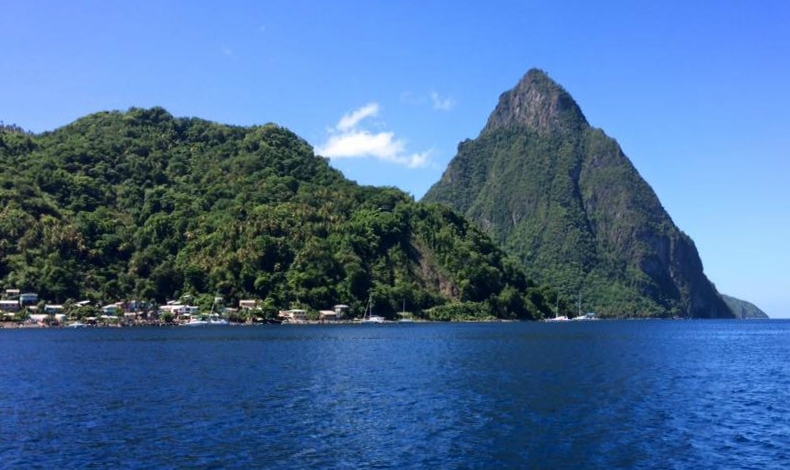 The morning after our Wedding we jetted off to the gorgeous St. Lucia where we relaxed in the sun for two whole weeks! Everything was amazing and we are still on cloud 9. You may have also noticed that I redesigned my blog and changed the name! Now that I'm done with graduate school and I don't have a Wedding to plan, once we get our lives back together, I will have so much free time on my hands! For now, I will leave you with two pictures of Steve and I on our Wedding day and one of my favorite pictures that I snapped in St. Lucia!